Announcing the 2013 Animation Station at the Starz Denver Film Festival. 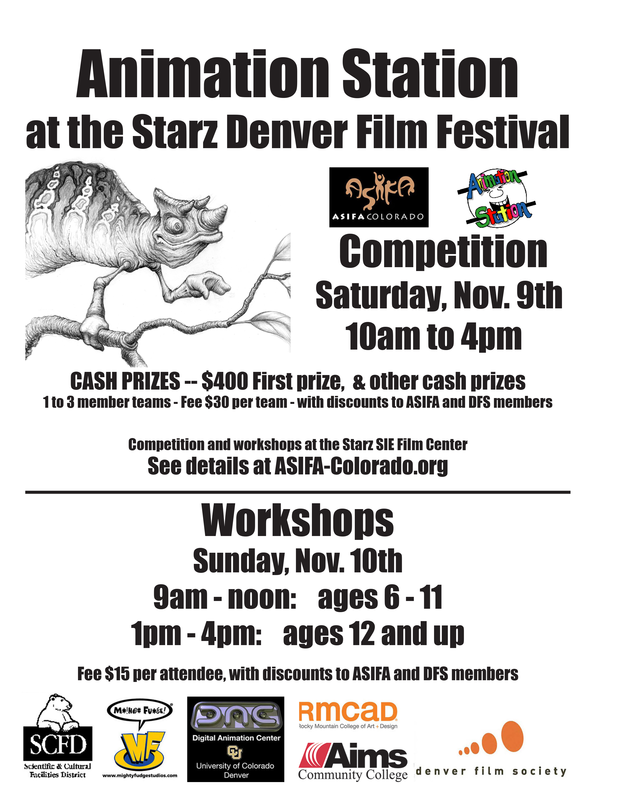 ASIFA-Colorado is proud to present this year’s Animation Station Competition and Workshops at the Starz Denver Film Festival. Enter the competition to win BIG BALLER PRIZE MONEY, or join the workshops to learn about animation and create a short film! This is one of the most fun events on the Colorado animation enthusiast’s calendar. Can’t wait to see you there!